Top 5 movies to watch over Easter… and a couple of surprises! Easter is just around the corner and Wellington City Libraries is chocablock of DVDs for your viewing pleasure and night of “scoffing chocolate”. Wellington City Libraries will be closed on Friday 19th April, (Good Friday), Sunday 21st April (Easter Day) and Monday 22nd April, (Easter Monday), so now would be an excellent time to stock up on DVDs (…and chocolate!) so you can be entertained over the Easter Break. Check out my top 5 movie recommendations to watch over Easter. Also, as an added bonus, this post features a couple of surprises that shows why you must go down to your local movie theatre and see Dumbo, which is now showing, and… Artemis Fowl! 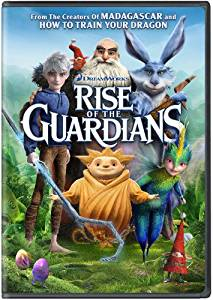 When an evil spirit known as Pitch lays down the gauntlet to take over the world, the immortal Guardians must join forces for the first time to protect the hopes, beliefs, and imagination of children all over the world. Willy Wonka & the chocolate factory. The one-and-only Willy Wonka makes the world taste good for a whole new generation in this magical family classic sparkling with brilliantly restored picture and sound! 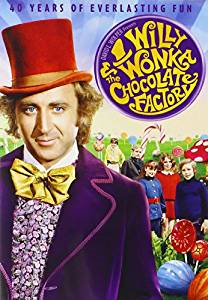 Also included is the all-new documentary Pure Imagination, featuring interviews with Gene Wilder and the Wonka kids and revealing production secrets from the movie!nWhen they find prized Golden Tickets inside their Wonka candy bars, five lucky children win a behind-the-scenes glimpse of the legendary candy factory run by the mysterious Willy Wonka. Now, on a whirlwind tour of Willys incredible, edible realm of milk chocolate waterfalls, elfish Ooompa-Loompas and industrial-sized sugar-coated creations, one very special boy will discover the sweetest secret of all: a generous, loving heart. Storks used to deliver babies, they now deliver packages for a global internet store. Junior, top delivery stork, is about to be promoted when he accidentally activates the Baby Making Machine which produces an unauthorized baby girl! Desperately Junior must deliver the bundle of joy before his boss finds out. Get ready for this wild revealing journey that could make more than one family whole and restore the storks’ true mission in the world. 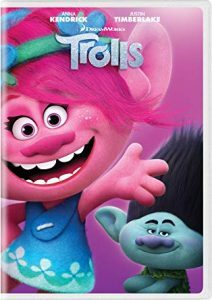 When their village is invaded by the grumpy Bergens, two mismatched friends must work together in perfect harmony to save the day. Featuring hit songs performed by Justin Timberlake, Anna Kendrick, and more. Bob Parr, Mr. Incredible, has unwittingly demonstrated repeated that Supers can cause as much damage as villains while protecting the world, which causes his wife — Elastigirl — to be chosen as the face of a movement to make Supers legal again. Still, it will take the entire gang to take down a new supervillain bent on mind-controlling the entire world! Surprise #1: Movie Review: Dumbo. Last weekend I went to see Dumbo at the Roxy Cinema and it is in a word, FANTASTIC! 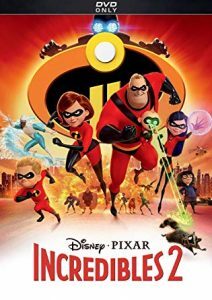 Tim Burton, (director of the 2005 movie, Charlie and the Chocolate Factory), directs this live-action retelling of the original animated 1941 Disney classic. Struggling circus owner Max Medici enlists a former star and his two children, Milly and Joe, to care for Dumbo, a baby elephant born with oversized ears. When Milly and Joe discover that Dumbo can fly, with the help of feathers as a good luck charm, it soon becomes the main attraction — bringing in huge audiences and revitalizing the run-down circus. The elephant’s magical ability also draws the attention of villain, V.A. Vandevere, an entrepreneur who wants to showcase Dumbo in his latest, larger-than-life entertainment venture, however with less than honorable, and perhaps sinister intentions. And it’s up to Milly, Joe and the circus performers to save the day by rescuing Dumbo, and his Mum from the evil clutches of Vandevere. Overall I feel Tim Burton did an amazing job with this live action retelling of Dumbo. Dumbo steals the show with his cuteness, baby blue eyes, inquisitive nature and flying antics. I enjoyed the moments where Dumbo was able to confront and give his tormentors their just deserts by hosed down, the tender moments he had with his mother and the love and kindness he received from the children and circus performers. All the other characters, even the villain, brings the film to life, gives it depth and will keep you entertained from start to finish, and eager for the long awaited and well deserved happy ending for Dumbo. As promised, the film delivered at being amazing, entertaining, heartwarming, and definitely heart breaking where it is recommended to have tissues on standby. A highly recommended movie that the whole family can enjoy at the weekend and Easter break! Surprise #2: Disney’s Artemis Fowl – Teaser Trailer. The wonderful world of Artemis Fowl comes to life on the big screen on September 19 2019! 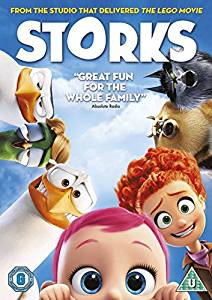 Based on the beloved book by Eoin Colfer, the film follows 12-year-old genius Artemis Fowl, a descendant of a long line of criminal masterminds, as he finds himself in a battle of strength and cunning against a powerful, hidden race of fairies who may be behind his father’s disappearance. Check out the teaser trailer below! Previous Article Upcoming movie releases… in the library and on the big screen!